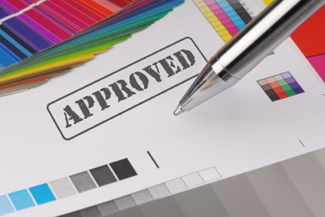 Is your company's never ending approval process killing productivity? Nothing kills precious work time more than trying to get approval on the working file - not last week's version, not the second draft, not Bob's revision. The real deal. Wouldn't it be great if, instead of chaos and black holes, you had a centralized, web-based headquarters for all the company files? Where everyone – teammates, freelancers, clients - could log in to see, collaborate, approve and actually finish an assignment? Get the whole team on the same page with the online document management software designed for small- to medium-size businesses. Same-Page provides one central storage location for any kind of file: Word, PDF, graphics, web pages, CAD drawings or Excel spreadsheets. Same-Page's document management software is web-based, which means your collaborators and clients can weigh in whenever they have time. Wherever they are. They don't have to wait for a meeting, or sift through a mountain of e-mails just to find the latest draft. What used to take weeks can now be done in minutes. Do the math - you'll be cranking out double or triple the number of finished assignments with this kind of efficiency. Superhuman productivity could become the norm at your company. Award winning Same-Page is easy to set up - nothing to download. Just log in and get started. With Same-Page's document management software, you can quickly upload files, invite comments, and get the work approved. You don't need any special tech knowledge or degree. Same-Page's document management software is designed for regular people with average web skills. The Same-Page eStudio product lineup is configurable for start-ups, growing business and for companies that need an IT-centric solution. While eStudio's design might be simple, the functionality is complete. Same-Page's eStudio document management feature is much more than just a FTP site. You're not just uploading a document. You're collaborating online, with everyone, in the fastest, most accurate way possible. Same-Page's document management software doesn't come with a bunch of techie gadgets and gizmos. So if you want to spend all day trying to figure out the bells and whistles of a complex system, our document management software's probably not for you. Same-Page is for people who want to get stuff done. Lots of businesses like yours start small but think big. Your document management software should be able to keep up with you - without making you pay extra license fees. Unlike most document management software, Same-Page enables you to add new users, at no extra charge, whenever your team expands. Grow as much as you'd like. For as long as you'd like. Call our free customer support line if you need help - and get fast answers from real people. We offer completely free training on our document management software, along with all of the eStudio tools. It's time to get those files approved. Done. Out the door. To the client. If you're ready to take complete control and collaborate instantly online, there's no better time to join the ranks of thousands of companies using our document management software to work faster, better, smarter. Sign up now for a free 30-day test drive of Same-Page's document management software. Sign-up's quick and easy - no credit card required.